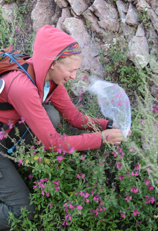 Field Experiments and surveys can help researchers identify and understand important processes that drive individual behavior, population dynamics, community structure, and ecosystem function. Long-term experiments are uniquely important because they yield insights into the dynamic behavior of systems over time. I spent much of my graduate work at the Portal Project, a long-term experiment collecting data on small mammal, plant and ant communities. 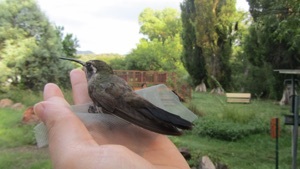 For my postdoc with Catherine Graham, I spent a month in the Chiricahua Mountains surveying migrating hummingbirds, flower communities, and estimating nectar quality and abundance.